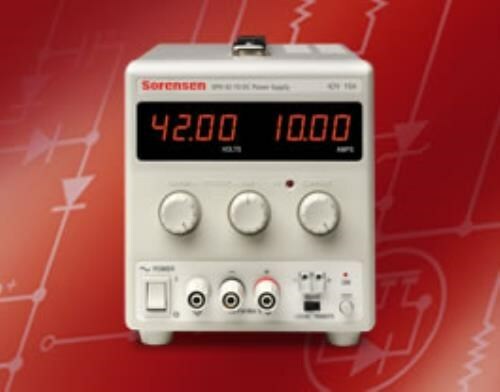 The Sorensen XPL series has been designed to meet the need for compact power supply at a reasonable price. The XPL series provides 30 to 125 watts of programmable linear DC power. The XPL is a compact, high performance low cost power supply suited for benchtop applications. The XPL dual output model has two independent and isolated outputs each with a 0 to 30V, 0 to 2A capability and its own on–off switch. The outputs can be wired in either series or parallel to provide voltages up to 60 volts or currents up to 4 amps. All outputs are instrinsically short circuit proof, and are protected against external voltages and reverse currents. The XPL triple output model has the same features as the dual output model with an additional switchable fixed output of 3.3V and 5V.